As you know or perhaps already experienced by yourself pregnancy is a very special situation for a woman’s body. A lot of these changes are linked to the mother’s nutritional state and her eating behaviour. Many women experience altered sense of taste and inexplicable cravings or even ravenous hunger resulting in – sometimes massive – weight gains. Although this is welcomed in almost every case, pregnancy usually comes with unintended conditions such as obstipation or oedemas localized in the legs. In this article we will give you 10 simple rules to optimize your nutrition during pregnancy not only to fuel your and your unborn child’s body with the right nutrients, but also to increase your well-being and to help yourself enjoying this special phase of your life as good as possible. To achieve that goal the average (becoming) mother should consume additional 250 kcal per day, however, this already includes a safety margin. As you see there is no need to get crazy about these numbers, just take a look at the bathroom scale from time to time and make sure you are in the right frame in the longterm. One of the very few things we learn about a healthy lifestyle, especially during pregnancy, is to quit smoking. But how about beverages which contain alcohol or caffeine? Well, we’ve got a good a bad news, so let’s start with the good one. For many people coffee already is considered to be a staple food – some people just cannot life without it. If you belong to those, you can continue drinking coffee, however, perhaps you should reduce the amount you’re drinking. Research shows that consuming more than 300 mg of caffeine per day (this equals 5-6 cups of coffee) could be responsible for a decreased infant’s birth weight and, in extreme cases, lead to deformities. However, those side effects only might appear if you consume that amount of caffeine regularly on a daily basis. If you stick to 2-3 cups of coffee per day (or 150 mg of caffeine in particular), you and your child are safe. To the contrary when it comes to alcohol, you definitely should change your habits. Alcohol can cause the so-called fetal alcohol syndrome (FAS) leading to facial malformations and/or behaviour disorders later. Often it’s not possible to determine FAS in very early ages which makes it hard to define the exact prevalence, however, every year there are several thousands diagnoses in european countries each. As we still don’t know how much alcohol can be declared as “safe” during pregnancy, it’s better to entirely quit drinking it. A typical phsyiological feature of pregnancy is a decreased activity of the lower esophagus sphincter. As a result of this you will experience uncomfortable and regular heartburn. To counteract you should divide larger meals into smaller ones to calm down your stomach and reduce sudden peaks of gastric acid. Furthermore this feature causes impaired intestinal motoric eventually leading to obstipation. Increasing intake of dietary fibres and water is an excellent way to overcome this issue. Aside from toxoplasmosis there is another disease called listeriosis which can lead to complications during pregnancy and cause premature birth, meningitis or even abortion if the infection happens in early pregnancy stages. The ways of infection are rather similar to those of toxoplasmosis, however, aside from raw meat, eggs and vegetables some diary products as raw milk and cheese can be contaminated as well. The prevalence of listeriosis is extremely low in industrial states, but you should pay attention to possible recall actions in the corresponding food industries to lower risk of infection. When it comes to dietary aspects pregnant women usually are instructed to stick to the same basic recommendations as usual people. However, there are certain nutrients which require attention, especially when there is a risk of undersupply due to bad eating habits or side effects of the pregnancy itself. Thiamine, also popular for its alternative term vitamin B1, plays a major role in our energy metabolism. Undersupply of thiamine often leads to cardiovascular and neurological disorders and even manifested diseases as the rather well known beriberi. Usually malnutrition of thiamine isn’t very common in western countries, however, thiamine levels often are reduced when it comes to pregnant women. Especially if the pregnant woman suffers under constant vomiting, the risk of undersupply for all b vitamins including thiamine is elevated. Supplementation of vitamin B1 or adding more rice, oats, pork or wholemeal flour to the daily diet reduces risk of any undersupply to an absolute minimum. However, what should be avoided, is using high dosages vitamin B6 (pyridoxine) as an antiemetic. Although it seems to reduce problems with regurgitation, there still is no clear data about negative side effects on the infant. If there is one real critical micronutrient you should pay attention to even before the actual pregnancy starts, it’s folic acid. Folic acid is a viamin which is vital for DNA synthesis, thus playing a major role in successful cell division and tissue growth. As the fetus undergoes a tremendous growth process, a lack of folic acid can have serious effects on your child’s health, such as low birth weight, abortions, preterm birth, cleft lip and neural tube defects (open spine). Especially neural tube defects usually happen very early during pregnancy within the first 3-4 weeks – a time when the already pregnant woman often isn’t aware of the gestation at all. By that time it’s too late to take action and increase intake of folic acid. To avoid situations like these women who want to get pregnant are advised to use a folic acid supplement prior to conception in order to increase intake of folic acid to 600 ug per day (the usual intake in european countries is 200 ug per day). As conception and the resulting pregnancy often happens unintended, some major official nutrition societies recommend to use a folic supplement during the entire age span while they are capable of bearing children. Similar to folic acid vitamin A is an enzymatic co-factor for cell differentiation, consequently an undersupply could lead to tremendous disorders in the infant’s organism. Especially our eye sight is heavily dependent on vitamin A as it is a precursor of retinoic acid – as the term already indicates it’s vital for our retina. If we don’t consume enough vitamin A, especially in young ages, risk for blindness is elevated. It is true that vitamin A is actively transported from the mother’s organism through the placenta into the child’s body (so disorders during pregnancy are unlikely if there is at least some vitamin A intake), however, as soon as the child is born both the infant and the mother have depleted vitamin A reservoirs eventually leading to mentioned consequences. Of course, a real lack of vitamin A usually appears in developing countries, yet even in western countries it is recommended to use a supplement or to add liver to a pregnant woman’s diet in order to guarantee a full supply of vitamin A.
Vitamin E is a radical scavenger – as the oxygen consumption and production of free oxygen radicals is slightly elevated during pregnancy, it might be useful to increase the intake of vitamin E marginally to avoid medical conditions like pre-eclampsia and eclampsia. Supplementation might not be indicated as the recommendations for pregnant women are just marginally superior to averages (13 mg per day compared to 12 mg per day), but can be a helping hand. Usually Calcium is not a nutrient you should worry about as a pregnant woman. As your body increases the resorption rate of calcium from 33% to 54% automatically, the amount of dietary calcium should be enough to cover your own and your child’s need at the same time. However, in fact many pregnant woman don’t reach the average recommendation of 1000 mg calcium per day. Make sure your calcium supply is sufficient to protect your body against pregnancy induced hypertonia and correlated pre-eclampsia. On the other hand magnesium is a natural antagonist of calcium, so if your calcium supply is too high you may experience minor shortage effects of magnesium such as cramps. Seizures (especially in calves) aren’t rare during pregnancy: 5-30% of all pregnant women suffer these side effects due to minor lacks of magnesium. To overcome unsufficient supply of magnesium you could add nuts, bran and beans or a simple oral supplement to your diet. Iron is an essential factor for hemoglobin and consequently for optimum blood production as well. Since a mandatory side effect of pregnancy is an increase in blood volume, the needs for iron are heavily raised from 15 mg to 30 mg per day. If the daily diet doesn’t match these needs usually an anaemia is the result, leading to elevated infection risk, low birth weight, pre term births and even higher mortality rate of mothers. As the usual iron intake is rather low and many women suffer anaemia already before getting pregnant, it is recommended to take a supplementation into consideration. 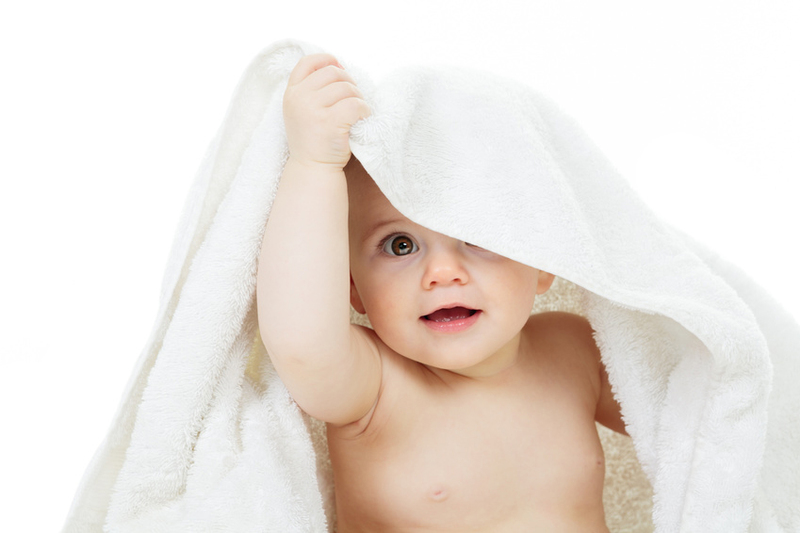 In this blog we only give general information about the scientific state of infant nutrition. For individual guidance please refer to your healthcare professional.